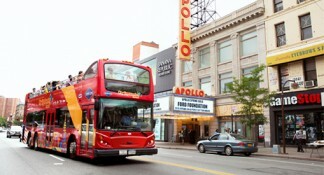 3-day double-decker bus tour pass featuring unlimited hop-on, hop-off access on Downtown, Uptown and Brooklyn tours. 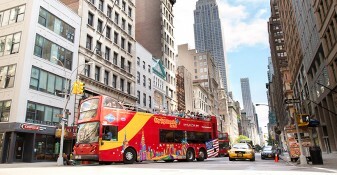 PLUS a FREE double-decker Night Tour, CitySightseeing New York© Hop-on, Hop-off Ferry Tour, entrance to the Museum of the City of New York or New York Historical Society AND an Eat and Play Discount Card – all for one unbeatable price! For the complete New York City adventure, our 3-Day All Around Town Tour offers unforgettable sightseeing in the Big Apple, without the hassle! Our 4 distinct tour loops boast the best of Manhattan and Brooklyn– by day and night! So let our well-versed guides take you on an eye-opening tour of New York’s cultural gems and iconic landmarks, offering insight into its rich history and contemporary significance in the world. In Manhattan, you’ll marvel at must-see attractions like the Empire State Building, Times Square and Central Park. 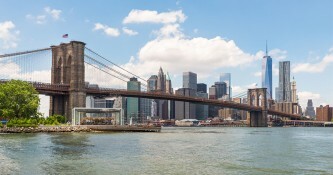 In Brooklyn, the hip DUMBO neighborhood and beautiful Brooklyn Bridge await. 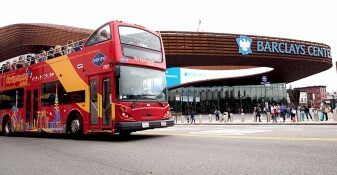 With unlimited hop-on, hop-off access, you can hop off the bus at any of the convenient tour stops along the way to explore notable attractions up close, for as long as you’d like. When you’re ready to continue with your tour, just hop back on the next bus! 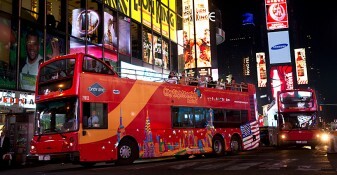 • SAVE $250+ on iconic New York City sightseeing – the absolute best value! 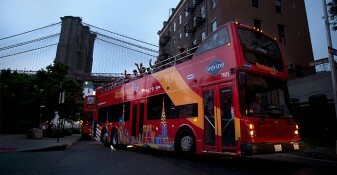 • Double-decker views of iconic attractions in Manhattan and Brooklyn. 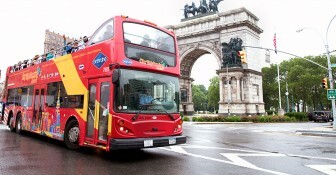 • Unlimited hop-on, hop-off access offers the ultimate in flexibility and convenience! 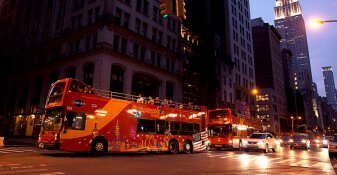 • FREE included Night Tour features sweeping vistas of the city lights at night. 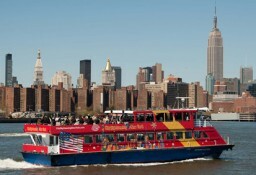 • FREE included Hop-on, Hop-off Ferry Tour, with views of the Statue of Liberty! 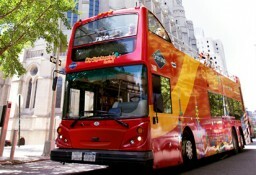 How to make the most of your All-Around Town Tour? Check out our Ultimate Insider's Guide to NYC! Are you planning on visiting New York? Well you should definitely check out the New York Historical Society if you are interested in learning about the city’s past. Whether you live there or are on vacation, you should visit this museum to get a closer and in-depth look at the culture throughout the years and how New York got to where it is today. Across the street from Central Park, visiting the New York Historical Society will give you the opportunity to experience an area of the city worth seeing. 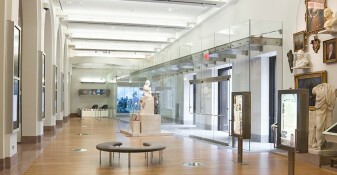 The New York Historical Society offers four centuries worth of in-depth history of the city. The museum features an 18-minute film experience that offers a view of how the city went from a remote outpost to a thriving center of the world on a 75-foot panoramic screen. Also, explore visual exhibits and graphic artwork that define New York. This museum also includes an entire floor dedicated to children’s galleries to make the historical experience fun and interesting for them as well. 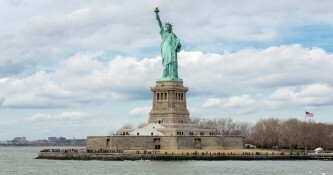 People of all ages will have the ability to delve into the rich history of the Big Apple. 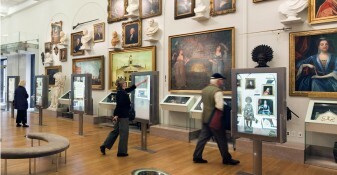 Experience objects that are centuries old and learn the stories behind them. Get a closer look at the events and people that played a part in shaping and carving out history. Check out featured special exhibits and find out when they take place so you can plan your trip accordingly. 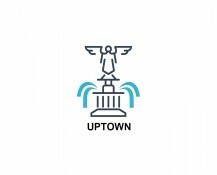 Some up and coming ones include Picasso’s “Le Tricorne”, Revolution: NYC and the War for Independence, Holiday Express: Toys and Trains from the Jerni Collection, Silicon City: Computer History Made in New York and Superheroes in Gotham. The New York Historical Society also features Café Storico, offering cocktails and Italian cuisine. Also, check out the museum gift shop for some New York City souvenirs and New York Historical Society merchandise. Come to New York City and experience the Upper West Side of Manhattan and its interesting culture and pay a visit to Central Park. 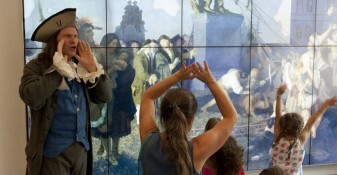 Coming to the New York Historical Society will prove to be a fun and enjoyable experience for the whole family. Learn about the history of New York and the events that brought the city to where it stands today, and discover what makes it so unique. 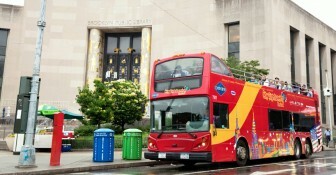 This museum is an excellent choice for those looking for something different. Are you ready to expand your knowledge and immerse yourself into the history of such an amazing city? Book your museum visit today! 1. Battery Park/Statue of Liberty Ferry – State st. & Bridge st.